Vans and Thalia Surf Shop invite you to dive into the bewildering imagination of multi-media artist Alex Kopps this Thursday, July 5. 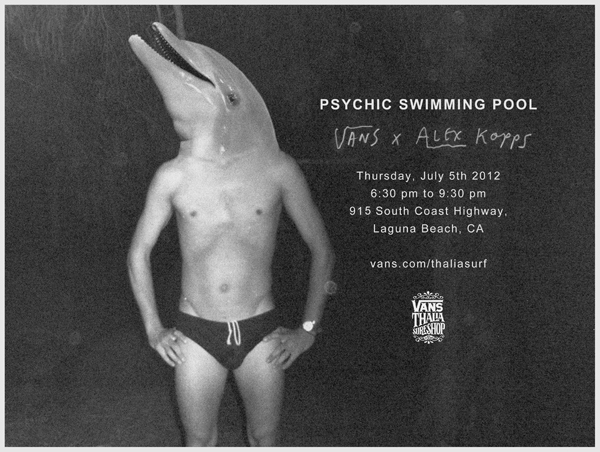 Original artwork, short film and Alex’s custom Vans Surf Siders will be showcased along with special giveaways. Libations will be served from 6:30 – 9:30PM. Vans Thalia Surf Shop is located at 915 South Coast Hwy in Laguna Beach, CA. See flyer for details.